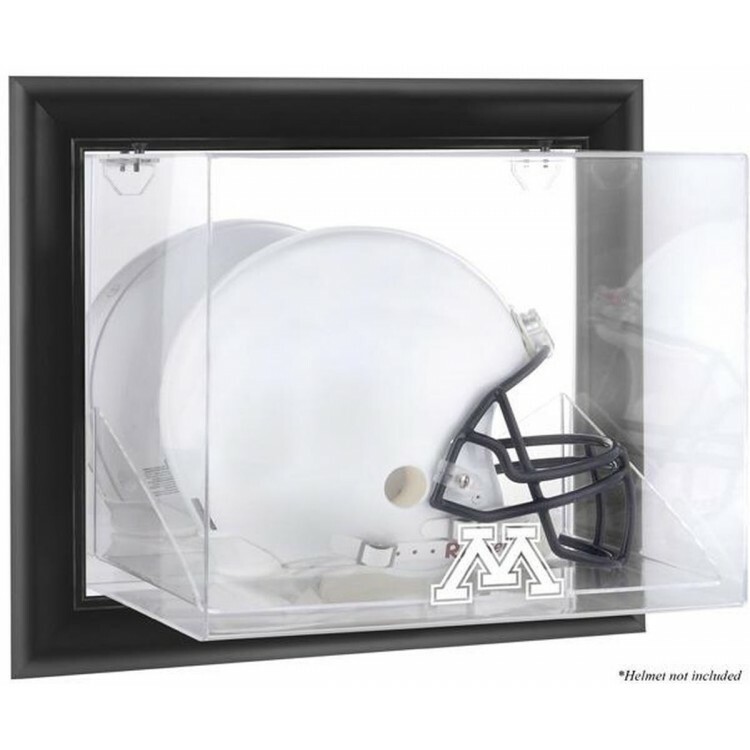 The Minnesota Golden Gophers wall-mountable logo helmet display case is made of 1/8"-thick acrylic with a black wood frame. It features a clear acrylic removable lid with engraved team logo. The case is perfect for a collectible helmet. It is officially licensed by the CLC and the University of Minnesota. Inner dimensions: 15 1/2" x 12 3/8" x 10 3/4". Outer dimensions: 20 1/4" x 17 1/2" x 11 1/2". Memorabilia sold separately. The Chicago Bears golden classic logo mini helmet display case comes with a black acrylic base, gold.. The easy, open-and-close, cabinet style, Genuine Brown Wood framed jersey case now includes a custom..
Chad Johnson has quickly become one of the most dominant receivers in the NFL today! This product is..
8.5 x 11 FRAMED (HFP) 1953 MICH ST/MICHIGAN (890463).. Ultimate collectors full size helmet case with mirror back. Includes your favorite NFL team logo bea..
Dallas Cowboys running back DeMarco Murray set the team mark for most rushing yards in a season with.. The New Zenith Edition football case has exquisite black acrylic and a Black Framed base. Includes y.. The Toronto Blue Jays Golden Classic mini helmet logo display case is made of 1/8"-inch thick acryli.. The Stanford Cardinal helmet display case comes with a black acrylic base and gold colored risers. I.. The Boston Celtics golden classic logo basketball display case comes with a black acrylic base, gold.. This golden classic helmet logo display case comes with a black acrylic base, gold risers and mirror..